Known in Russian as Iulii Dmitrevich and in Hebrew as Yoel, he was born on the Crimean coast of the Russian Empire, went on to receive a law degree from the University of Kharkov in 1890, and then at the urging of Tchaikovsky enrolled at the Moscow Conservatory in 1893. There he studied with Sergei Taneev and others and upon graduation became a music critic at Moscow’s leading liberal newspaper, Russkie vedomosti, a position he held until 1918. At the same time he began to publish compositions, including both Russian-style song romances and arrangements of Jewish folk songs. Inspired by the rise of Jewish nationalism and the growing field of Russian musical ethnography, Engel pioneered the collection of Yiddish folk songs, in the process introducing the wider mass of Russian and Russian Jewish composers to the artistic potential of Jewish music. For his early efforts, Engel was considered to be the founder of the modern school of Jewish national art music, similar to Bartok, Grieg, and other European composers. He played a prominent role in the Society for Jewish Folk Music (1908-ca. 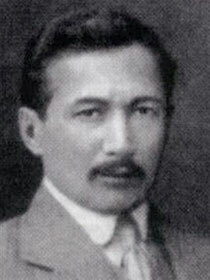 1919), serving as the leader of the Moscow chapter, and published several folk song collections and roughly 150 original compositions by himself and other Russian Jewish composers in the 1910s and 1920s. When the Bolsheviks seized power in 1917, Engel remained for the next few years in Russia. In 1922, he left, moving to Berlin, and then in 1924 to Palestine, where he died in 1927. In 1912 Engel joined the folklorist and Yiddish writer Sh. Ansky on a groundbreaking ethnographic expedition to collect Jewish music and other folk culture in the shtetls (small towns) of the Pale of Settlement (corresponding roughly to present-day Ukraine and Belarus). The results of this expedition included hundreds of musical transcriptions and early field recordings that became the inspiration and source material for Jewish composers down to the present. While conducting research in one shtetl (small town), Engel and Ansky heard a fantastic folk tale of a “dybbuk,” a magical spirit possession of a living person by the soul of a dead person. Captivated, Ansky went on to write a play called “The Dybbuk,” that both dramatized the folk tale and turned it into a parable for the whole tragic fate of East European Jews, caught “between two worlds,” of religious tradition and secular modernity, and Russian-Jewish artists and intellectuals torn between their dual identities as Russians and Jews. –The descent is on account of the ascent. The play was premiered in 1922 in Moscow in a Hebrew-language version by the Habimah Theater with Engel’s music. Such was the powerful allure of the music, that many in the audience reportedly cried while listening to the overture. “The Dybbuk” went on to become the single most famous Jewish play in the world, with thousands of productions across multiple continents and in multiple languages. Engel’s music, however, while initially performed everywhere from Europe to Latin America to India and published multiple times (including in Tel Aviv and Berlin in 1926 and again in the Soviet Union in 1929-30) has largely been forgotten. This concert represents one of a handful of performances of his music in the last 50 years.